Mezzanine Funds: Private Equity Lite, or Top-Tier Buy-Side Opportunity? Few terms in the finance industry cause as much confusion as mezzanine financing and mezzanine funds. Not only can the term “mezzanine” refer to different types of debt (or equity! ), but it can also mean slightly different things for normal companies and properties. If you poke around online, you’ll find not only dozens of different terms and definitions, but also equal discussion and debate. Some people argue that mezzanine funds are a great alternative to traditional private equity, while others claim that even sell-side investment banking roles beat mezzanine from any perspective. Definition: “Mezzanine” refers to loans that sit between Senior Debt and Common Equity in a company’s capital structure; mezzanine funds invest in these loans and aim to earn annualized returns in between the typical IRRs targeted by Senior Debt and Common Equity investors (e.g., in the 10-20% range). The most common instruments that fall under the mezzanine category are Subordinated Notes and Preferred Stock. Relatively high, fixed coupon rate (e.g., 10-15%), with some portion payable in cash and some portion that accrues to the loan principal (Payment-In-Kind or “PIK” Interest). Floating rates can become common when there’s increased competition as well. Incurrence covenants that restrict the actions a company can take, but which do not require the company to maintain financial ratios within certain limits. No need to pay down principal gradually (read: no amortization) and a maturity, or “tenor,” of 5-8 years. “Call protection” for 1-2 years (the company cannot repay any of the loan in that period) and call premiums after that. In other words, the company can repay the loan early but will incur a penalty fee to do so. Commitment/arrangement fees or an original issue discount (OID) of 2-3%. An “equity kicker” in the form of warrants, options, or shares that convert into common equity. These are the general characteristics of mezzanine – the instruments vary quite a bit, and different funds pursue different strategies. For example, some mezzanine funds focus on the equity side and pay more attention to the company’s potential upside and its possible value in an exit scenario. They may even co-invest in a company’s common equity along with the private equity firm completing the deal. Other funds – probably the majority – are credit-focused and care more about avoiding losses while earning an IRR in the mid-to-high teens. Mezzanine investors take on far more risk than senior lenders because in a bankruptcy, mezzanine investors are junior to senior lenders and cannot claim any of the company’s assets as collateral. Because of this much higher risk, mezzanine investors require higher yields that are often closer to equity IRRs. Capitalized or PIK Interest that increases the mezzanine balance and becomes payable upon maturity, exit, or early repayment. Commitment fees or an original issue discount when the loan is first issued. 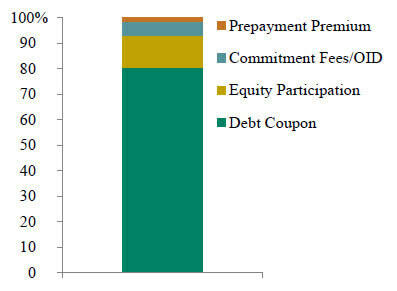 Prepayment penalty fee or “call premium” if the loan is repaid early. Why Would a Company or Sponsor Use Mezzanine? Mezzanine is often used in private equity transactions, especially leveraged buyouts for middle-market companies, as well as in recapitalizations and growth investments. Private equity firms like to use mezzanine when possible because leverage amplifies returns (i.e., positive outcomes become even more positive, and negative outcomes get even worse). If a deal generates a high IRR at 4x Debt / EBITDA and the company can easily service its Debt, then the deal should generate an even higher IRR at 5x Debt / EBITDA, with the additional 1x from a mezzanine issuance. Senior lenders usually only fund deals up to a certain Debt / EBITDA multiple, so if the sponsor wants to go beyond that, it has to use junior debt such as mezzanine. For example, instead of having to pay a high coupon 100% in cash, the company may be able to switch to PIK Interest if it anticipates a period of spotty cash flows. Private equity firms invest in companies’ common equity in control transactions and aim for annualized returns of 20-25%+ in leveraged buyouts. They do deep dives into transactions and conduct detailed due diligence, and they often improve portfolio companies’ operations and complete add-on acquisitions. The financial modeling can get quite detailed, the hours are long at most firms, and the compensation, at least at larger firms, is also a significant premium to investment banking salaries + bonuses. By contrast, mezzanine funds assume lower risk and target lower potential returns because they focus on credit, with a small equity kicker to boost returns a bit. They tend to do more deals but go into each one in less depth, and they do not get involved with operations in the same way as operationally focused PE firms. The financial modeling can be moderately complex but tends to be less complicated than the approach used in PE. Also, the hours are significantly better (50-60 per week, with occasional jumps to 80 when a deal is closing), and the compensation is highly variable, but potentially lower than PE pay or potentially in-line with it depending on your firm and group. Mezzanine funds and direct lending firms are similar because they both invest in debt that is not syndicated and that tends to be held to maturity. “Syndicated debt” typically refers to bank loans and high-yield bonds that are sold to a large number of investors (see the DCM, Corporate Banking, and Leveraged Finance articles); mezzanine funds and direct lenders do not invest in these types of issuances. The key difference is that direct lenders tend to invest in first-lien, senior-secured, floating-rate loans – unlike the more junior, fixed-rate securities that mezzanine funds target. As a result, the risks and potential returns are lower for direct lenders, with IRR targets often in the high-single-digit-to-low-double-digit range. These loans may have issuance fees and prepayment penalties, but PIK Interest and warrants are rare. How Do Business Development Companies (BDCs) Fit into This? Whenever questions about mezzanine come up, we also tend to get questions about “business development companies” or BDCs. Essentially, BDCs are alternative investment firms that raise their funds through the public markets rather than privately from Limited Partners. They may say that they “invest across the capital structure,” but they tend to focus on debt, and they often invest in mezzanine. Besides mezzanine funds and BDCs, collateralized loan obligation (CLO) funds also invest in mezzanine (plus many other debt instruments) and securitize their loans into portfolios that are managed as funds. Mezzanine funds have a strong preference for candidates with deal and credit experience – so, an investment banking background in a strong industry group, Leveraged Finance, or Restructuring could work well. Debt Capital Markets is trickier because you tend not to gain in-depth modeling skills there. Funds rarely hire candidates from equity research because research professionals do less deal analysis and do not focus on credit. Mezzanine funds also tend not to hire candidates straight out of undergrad because they want to see at least 1-2 years of transaction experience. Sometimes professionals from private equity firms move over to mezzanine, in search of a better lifestyle, more deals, or less portfolio-company monitoring. Breaking in from a hedge fund can be tricky unless your current fund is credit-focused. It is possible to move in from a commercial bank, a non-bank leveraged lender, or related credit roles because it’s more important to understand debt than equity (experience with financial sponsor clients also helps a lot). An MBA doesn’t necessarily make a big difference because funds still want candidates with relevant experience pre-MBA, and there isn’t a structured “path” into mezzanine at the MBA level as there is with investment banking. Finally, consultants do not have a great shot of switching into mezzanine because most funds do little operational work; operationally focused PE funds would be a better bet. Regarding process, most mezzanine funds do not use the highly structured, fast-paced recruiting that mega-funds use in NYC-based hiring. Instead, the process will be more similar to off-cycle private equity recruiting, where you have to be proactive, reach out to professionals and recruiters independently, and then go through interviews over weeks or months. As with investment banking interview questions, you still need to know how to build a DCF, what WACC means, how to build an LBO model, how to quickly estimate IRR in an LBO, how the three statements link together, and so on. See our walk-through, guide, and examples for the “Walk me through your resume” question. What does a mezzanine fund do? Where does it fit into transactions and growth funding? You’ve been reading this article, right? Why are you interested in our fund specifically? Research the fund’s deals and strategies and highlight those in your answer. For example, if the fund makes equity co-investments in lower-middle-market companies in niche manufacturing businesses, say that it appeals to you because you’ve had a previous internship in that area, or you worked at a family member’s business in that area, or whatever else is relevant. 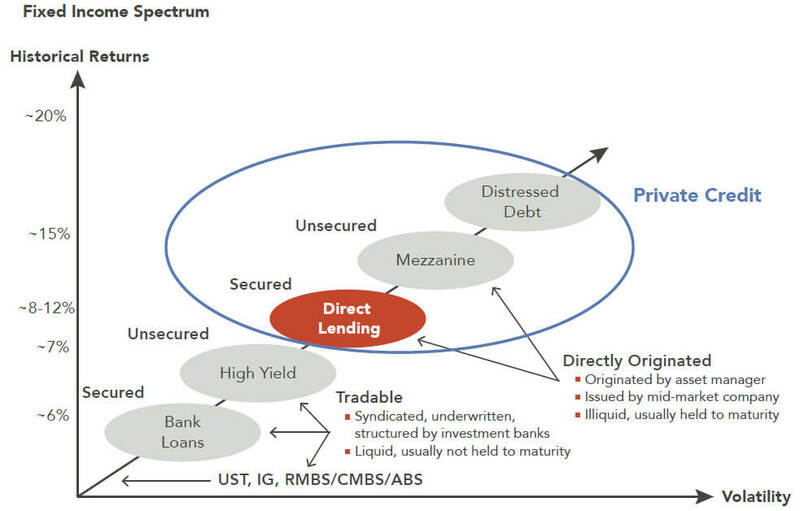 Why mezzanine rather than private equity or direct lending? You enjoy working on a wide variety of deals across industries, and you prefer deal analysis and financial modeling to portfolio-company monitoring and operational work. You like how mezzanine lets you analyze deals from both the equity and debt side and use the strengths of each one. Direct lending is too credit-focused, and you don’t want to do that exclusively. What are your strengths and weaknesses? / Give me an example of a time when you led a team. 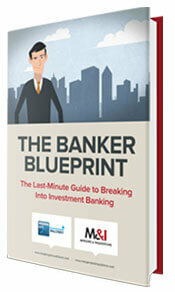 See our walk-through, guide, and examples for investment banking fit questions. Walk me through the 3 financial statements and how you link them. This one is covered in our Interview Guide and pretty much every other financial modeling course and guide out there. How do you calculate Free Cash Flow starting with EBITDA, and what does it mean? Free Cash Flow = (EBITDA – D&A – Net Interest Expense) × (1 – Tax Rate) + D&A +/- Change in Working Capital – CapEx. FCF tells you how much cash a company is generating each year and how much in debt principal it could potentially repay. Why might a lender adjust down a company’s EBITDA when sizing a debt issuance? If the company’s EBITDA increased rapidly in recent years because of one-time or unsustainable changes (e.g., a large but short-term contract that is unlikely to be renewed), you might reduce it to a lower, stabilized level so that the company carries the appropriate amount of debt. For all these questions, if you don’t already know about LBOs and credit, check out our simple LBO model tutorial. How would you evaluate a company and make a recommendation for or against investing in its mezzanine issuance? You would start by creating different operational scenarios for the company, such as Base, Downside, and Extreme Downside cases based on the company’s industry, business model, and performance in past downturns, and you would focus on the pessimistic cases to assess the chances of losing money. If it seems that a minor business disruption or downturn could result in a fairly high loss, you might recommend against the deal. If that doesn’t seem to be the case, but there are other risk factors, such as a large contract expiration in Year 3, then you might negotiate for different terms to mitigate this risk (e.g., a higher cash coupon or higher issuance fees in exchange for a reduced equity kicker). And if it seems unlikely that you will lose money no matter how bad things get, you might recommend the deal as-is. A mezzanine issuance is issued at an original issue discount (OID) of 5%, with a fixed cash coupon of 10%, a PIK coupon of 5%, and equity warrants to purchase 3% of the company’s equity upon exit at $0.03 per share. The mezzanine issuance face value is $100 million, and the company’s equity will be worth $400 million in 5 years. What is the approximate 5-year IRR? The cash + PIK coupons add up to an IRR of 15%. The OID is 5%, which is about 1% per year over a 5-year period, so the IRR is up to 16% with that (“original issue discount” means you can invest $95 million but earn back $100 million at the end). The equity warrants have such a low exercise price that we can round it down to 0, meaning it’s “free equity,” and 3% × $400 million = $12 million. $12 million is 12.6% of $95 million (you can say, “just above 12%” since $12 million / $100 million = 12%), which is about 2.5% per year over 5 years. So, the approximate IRR here is 18-19%. It’s slightly lower in Excel (18%) because of the time value of money. Why might a fund not want to invest in a mezzanine issuance with PIK Interest? Although PIK Interest can potentially boost returns, it also increases the risk upon exit or maturity because the company will have a higher debt balance to repay. For example, if it’s a company such as a government contractor with multi-year contracts, and a major contract comes up for renewal in Year 4 or 5 of the holding period, PIK Interest may create extra risk that isn’t justified by the potential for slightly higher returns. In this case, it might be better to negotiate for lower PIK Interest and higher Cash Interest, issuance fees, or OID. What are the advantages and disadvantages of equity warrants attached to a mezzanine issuance? Warrants can boost returns, but firms that use them typically have to perform more in-depth due diligence instead of relying on the private equity firm’s work because the warrants turn mezzanine funds into minority equity investors. Funds that focus on the debt side and loss avoidance may not want to do deals that include warrants because of the extra time and resources required. If you receive a case study or modeling test, it could be nearly the same as a standard LBO modeling test given in private equity interviews. However, they could also ask you a more complex version of a question above, such as the IRR approximation one. If you understand how to simplify the numbers and how Cash + PIK Interest, OID and fees, and equity warrants factor in, these questions aren’t difficult. We recommend practicing with LBO modeling case studies (see all the coverage on this site in the financial modeling section) because modeling tests are not rocket science – do enough of them, and you can complete them in your sleep. And you can see our entire Private Equity Case Study playlist for more examples and tutorials. Most deals come from the financial sponsors that mezzanine funds have relationships with. Often, a bank representing a client will create the Confidential Information Memorandum (CIM), and the sponsor will send the CIM to the mezzanine fund and ask how much debt the fund will commit to. It’s a tricky balance because on the one hand, you want to foster these relationships and be first-in-line for the best deals, but on the other hand, you also want to be strict with your investment criteria. Some mezzanine funds rely mostly on the sponsor’s due diligence, but others do their own work and verify everything from scratch, speak with industry experts, and crawl through the company’s documents. The focus is different because mezzanine professionals hone in on the sustainability of the company’s EBITDA and cash flows rather than the growth story. You typically have to meet deadlines set by bankers or sponsors, so you rarely work at your own pace. Also, it’s easy to lose deals because the sponsor may be considering multiple capital structures, so even if a sponsor you’re working with wins the deal, you may not be their lender of choice. There’s also significant negotiation with the sponsor to draft the note purchase agreements and equity documents (if there’s equity in the deal). You will spend a lot of time on the revenue, expense, and growth assumptions, including evaluation of the downside scenarios, but you won’t go quite as in-depth as a large PE fund would. For example, a PE firm might evaluate multiple capital structures and multiple market/operational scenarios, and it might build a detailed 3-statement model with supporting schedules. By contrast, at a mezzanine fund, you’ll focus on the cash flows and the specific capital structure you’re being asked to support. The hours in mezzanine are often better than those in investment banking or private equity: in a fairly normal week, they might be 50-60, rising to 80 when a deal is closing. That is because you spend more time evaluating a wide range of deals, but not going into each one in as much depth. Note, however, that if you’re in the mezzanine group of a PE mega-fund, your hours could be just as intense as they are in normal private equity. It’s difficult to list the “top” mezzanine funds because many of them are internal teams at mega-funds that invest in mezzanine along with other credit opportunities. But some of the best-known funds include Crescent, GSO Capital Partners (Blackstone), Bain Capital Credit (fka: Sankaty), Oaktree, Carlyle, Kayne Anderson Mezzanine Partners (KAMP), Ares, BlackRock Capital (fka: BlackRock Kelso), Morgan Stanley Credit Partners (MSCP), HPS Partners (fka: Highbridge), and Apollo Credit Funds. The AUM of these funds can go into the low billions, with most targeting investments in the tens or hundreds of millions. “The group invests across a broad range of industries, primarily in the Americas and Europe, and targets investments ranging in size from $100 million to more than $500 million. The hierarchy at mezzanine funds is similar to the one in private equity: Analyst, Associate, Principal/VP, and Partner. 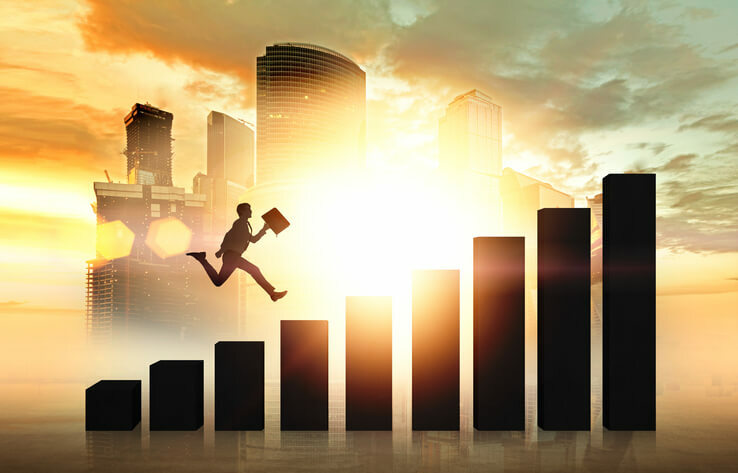 As you move up, your role will become less analytical and more focused on deal generation and maintenance of sponsor and banking relationships. If you’re joining after investment banking, you’ll almost certainly be hired as an Associate; at the MBA level, you might be an Associate, Senior Associate, or VP, depending on your experience. Similar to corporate banking compensation, there’s a ton of confusion about the pay in mezzanine because different types of firms pay different amounts. If you’re working at a smaller, dedicated mezzanine fund, pay will be less than investment banking pay: base salaries range from $75K USD at the junior levels up to $200K+ at the senior levels, with much lower bonuses representing 30% to 100% of those base salaries. The real upside is in the carry, which can far exceed your normal bonus, but which also takes years and higher seniority to earn. However, if you work in a group that’s part of a PE mega-fund, your compensation may be closer to what PE professionals earn (e.g., closer to $300K all-in at the entry level). So, you will earn lower compensation at mezzanine funds in some cases, but it depends heavily on the fund type, size, and status. You should take “compensation reports” in this sector with a grain of salt unless they also include carry, which most do not. Excluding carry gives the misleading impression that Partners always earn as much as mid-level VPs in investment banking. Now to your #1 question: How easy or difficult is it to move into private equity from a mezzanine fund? The short answer is that it’s fairly common to move over, but it depends heavily on your deal experience and the types of PE funds you target. For example, growth equity funds would be a stretch because you don’t focus on the equity upside “story” at most mezzanine funds; general buyout PE would more feasible. If you’ve worked on a lot of sponsor-related deals or equity co-investments, your transition will also be easier. And if you’ve dealt with deals that have underperformed, you could be a strong candidate for distressed debt investing. If you want to make this transition, you should switch to the equity side as soon as possible (e.g., after ~1 year on the job) because it only gets harder to switch the longer you stay. Private equity is sometimes a bit of an uphill battle because mezzanine is perceived as “PE lite,” with shorter hours and less complex modeling, but you can make the transition if you have good deal experience and/or a top fund name on your resume. Other exit opportunities include credit hedge funds, distressed hedge funds, event-driven funds, BDCs, credit research, and credit investing at other buy-side firms. Are Mezzanine Funds Right for You? You would be a good fit for mezzanine if you prefer to work on many different deals and not go as in-depth into each one, focusing more on the financial analysis and less on the operations and due diligence. You would be a bad fit if you want to improve portfolio companies’ operations, complete add-on acquisitions, and figure out growth opportunities. Some funds claim to focus on the equity side, but read the fine print closely because most mezzanine investing is still credit-focused. It’s not completely wrong to label mezzanine funds “private equity lite,” but it is misleading because many of these funds have expanded their strategies over time. And they can be good steppingstones to other credit roles, or even private equity – if you move over early enough. What skills are valued in making the transition from Mez to PE? (As in what are buyout shops looking for in lateral hires). And how easy is it to combat the “PE-lite” and “debt-guy” perception in making the jump? Background: 2.5 years in boutique IB and may have a potential Mez opportunity in front of me. The ability to run deals from start to finish by yourself, coordinate with outside advisers, and understand more than just the credit side. If you already have IB experience, it should be easier to move from mezzanine to PE because you’ll know more about deals and you can spin it into a story about understanding both the equity and debt sides. I can’t quantify how easy or difficult it is to combat those perceptions, but it’s possible to make the transition if you have good deal experience and you’re not necessarily aiming for the top mega-funds. 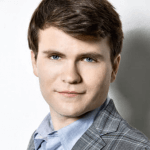 I got a graduate credit analyst offer from a London-based hedge fund’s CLO Management team. My responsibilities will be to look at syndicated leveraged loan and high yield bond issues. How hard would it be to move to a Mezz Fund in, say, 1-2 years? Enough transferable skills? Thanks. Thanks. I think you could do it fairly easily because the credit analysis skills are quite similar.